As many gardening enthusiasts out there may be able to explain, there is a very tangible difference between slow release fertilizers, and their quick release counterparts, both in terms of usage and functionality. With quick-release fertilizers, the nutrients provided to the plants are available as soon as you water them after applying the product. This is because the nitrogen in these fertilizer are dissolved with water either from rainfall, or irrigation. As a result, they are quick to take effect, but are used up quickly. Consequently, quick-release fertilizers need to be resupplied every 2 to 4 weeks. On the other hand, slow release fertilizers feature pellets covered in certain polymers that require microbial degradation before releasing their nutrients. This process takes time, and provides the nitrogen in a slow and steady fashion, which gives your garden a uniform supply of nutrients over a longer span of time. Slow-release fertilizers must be replaced every 4 to 6 weeks, and require minimal care and even less irrigation to properly perform their duty. While each of these types of products have their own strengths and weaknesses, I will dedicate this article to providing the best in slow release fertilizers on the market. The Voluntary Purchasing Groups (VPG) has long been one of the biggest suppliers in America in terms of lawn and garden products. This company supplies over 8,000 retailers with over 80 distributors nationwide. The organization lives up to its reputation in every single one of its products, including this one. Every pellet of this slow release nitrogen fertilizer consists of polymer and sulfur coated urea, to provide a constant effect for up to 2 months with a single application. The combination of slow, slower, slowest release nitrogen ensure that your garden is properly fertilized during the whole active period, without burning your grass due to possible unfavorable weather and soil conditions. Have you ever visited a golf course or seen it on TV and wished your lawn would look as lush and uniform as the one in those fairways? If so, I have good news for you: the Greenview line of fertilizers is the brand used to maintain and enrich the grass in championship golf courses. And the best part is that using it on your very own lawn is only a few clicks away (or a short drive away, if your local retailer sells this product). The folks at GreenView know that healthy roots lead to a healthy lawn. 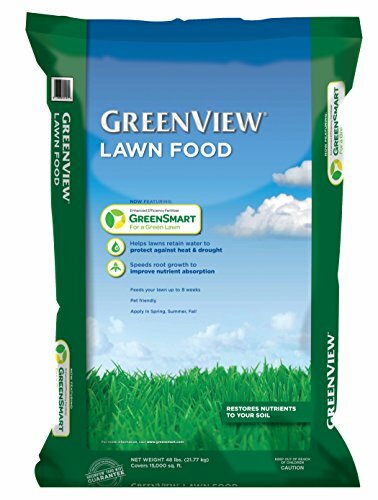 Consequently, they have developed and added the GreenSmart ingredient to their lawn feed. This unique component promotes root growth in your plants, which in turn will also increase nutrient and water absorption, effectively protecting them from droughts and excessive heat. Global Harvest Organics is a company that specializes in developing organic and environmentally friendly lawn products such as fertilizer, lawn feed, and biomass, among others. They have several decades in this business, which makes them the ideal choice for the gardener who wants to grow a healthy lawn, while also keeping his or her carbon footprint as low as possible. 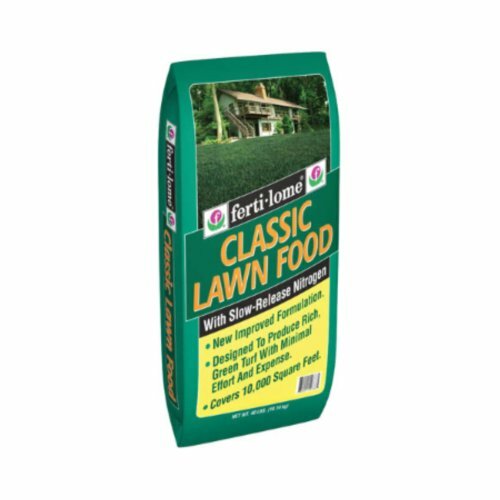 This slow release lawn fertilizer is made out of poultry litter and enriched rock dust, and features over 67 nutrients that are vital for the growth of each and every plant in your garden. The organic nature of this product makes it safe for pets and humans, while keeping the strong odors –that are common in these types of products –at an all-time low. 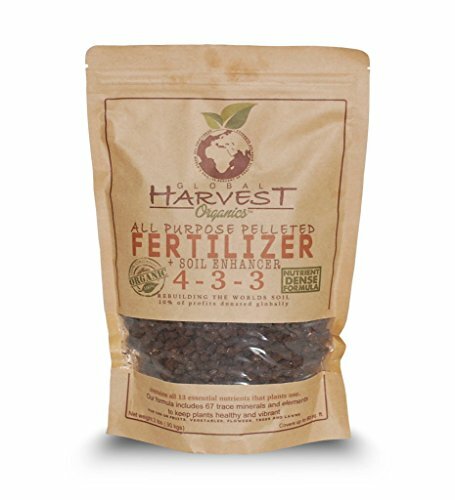 The All Purpose Organic Fertilizer comes in a 2 pound re-sealable bag for ease of handling and storage. Milorganite has been in the gardening business since 1926, and features the brunt of over 90 years of experience behind each of its products. All their fertilizers are created using recycled microbes from Milwaukee’s water reclamation process, which in turn are converted into their famous line of Milorganite organic nitrogen fertilizers. 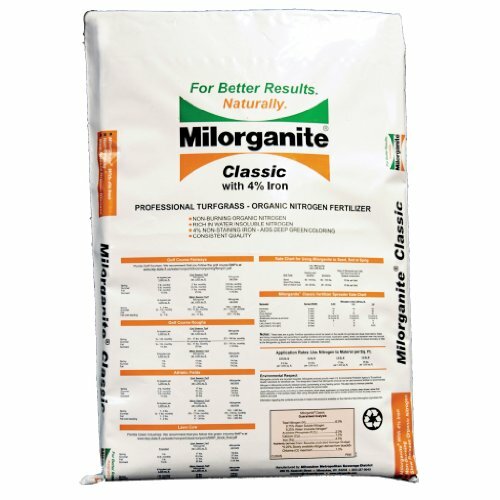 When it comes to time release fertilizers, Milorganite is one of the top picks in the market. This specific product is enriched with 4% iron, which will aid in the greening of the affected plants. The recycled nature of this item makes it the best bang-for-your-buck; with a price that simply can’t be beat, compared to most of the competition. The Jobe’s Company’s purpose in the gardening business is to create products that would trivialize garden work, making constant re-fertilizing and obsessive garden micromanagement a thing of the past. Their line of organics was created for gardeners that enjoy watching their plants grow healthy, but may not have the time to do so due to other obligations. Jobe’s All Purpose Granular Fertilizers shines among the rest because of their patented Biozome complex, which recreates the three microorganisms necessary for the promotion of a healthy soil: bacteria, fungi, and archaea. 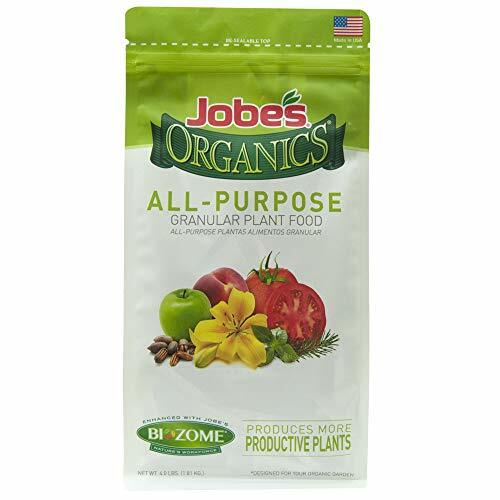 Most fertilizers of the competition recreate the first two, but fail in delivering the latter, which is an issue that Jobe’s has amended with the aforementioned complex. The Jobe’s line of organic, slow release fertilizers for lawns is critically acclaimed by gardeners for providing results since day 1. Picking the right kind of fertilizer for your lawn comes down to identifying your requirements and gardening philosophy. If you are growing edible produce, then odds are that you will need a fertilizer that would promote a healthy soil and fast growth of your plants, while preferably featuring organic components, to preserve the quality of the veggie. On the other hand, if you are an enthusiast gardener that tends to the lawn as a hobby, then you could make do with virtually any type fertilizer that adjusts to your budget. Picking slow-release fertilizers will ensure that you do not have to replace it very often, which will save you lots of time and money in the long run. Thank you for the information you put together, it’s very helpful for beginners like me. I always thought that it was easy to maintain the lawn, but it’s like everything else it needs it’s time too. If you can please help me, today I top seeded my whole lawn and put about 3/4″ black loam soil and watered it. My question is, do I need to fertilize it or wait till the grass grow about 1″ to 1.5″? If fertilizer required which is the best one to use? After a month or so, you should fertilize again with a fertilizer that has a bit less phosphorous and you should be good to go.